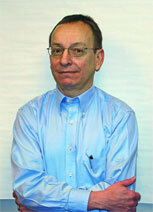 Mike Dorney, ACA chairman and vice president of Sales and Marketing for The Budd Company Plastics Div. is confident that composites have a competitive future because they permit vehicle manufacturers to make comparatively cost-effective modifications to vehicles so that these vehicle can maintain a certain degree of "freshness" in the marketplace. It is a regular occurrence near the start of a new year for the Automotive Composites Alliance (ACA; Troy, MI): it releases information regarding the increasing application of composites in the auto industry. Although there may be some adjustments to these numbers in light of the on-going downturn in the industry, ACA projections anticipate the use of 350 million pounds of reinforced thermoset composites in 2001 and 467 pounds by 2004, which represents an increase of 34%. Even though the number of pounds may be iffy right now (although, as you'll see below, most of the applications that ACA points out are light trucks, which have a seeming immunity to downturns), Mike Dorney, ACA chairman and vice president of Sales and Marketing for The Budd Company Plastics Div. (Troy, MI), is confident that composites have a competitive future because they permit vehicle manufacturers to make comparatively cost-effective modifications to vehicles so that these vehicle can maintain a certain degree of "freshness" in the marketplace. One of the key reasons why composites offer this change potential is because the tooling costs associated with them are comparatively lower: according to Dorney, whereas it might cost $2-million to tool a hood for composites, it may cost $5-million to do it for steel. But there is a difference that must be pointed out, which is that the steel dies are capable of making a far greater number of parts in a given period of time. High volumes are where steel shines brightly. As Dorney explains, there is the issue of breakeven cost, a cost that varies, of course, by part design (e.g., size, thickness). The composite parts are generally limited to applications of an annual production rate of 150,000 pieces per year or less: that's the annual capacity of a set of tools. Hoods and deck lids, thin parts, can be made at the higher volume; fenders, which are thicker, take longer to process, so the annual output is more along the lines of 120,000 units. According to Dorney, although there have been some incremental improvements vis-à-vis cycle time for composite processing—such as employing automation for load/unload rather than using manual methods—cure time for parts has been fairly stable for the last 10 years. That said, there is the potential for a vehicle manufacturer that is doing lower volumes (and isn't the niche vehicle a goal within the confines of mass production?) to take a single platform and create tooling that will result in distinctively different appearances for two vehicles (say a Chevy and a Pontiac, a Lincoln and a Mercury, a Dodge and a Chrysler). 2001 Ford Explorer Sport Trac (cargo area). The forthcoming Chevy Avalanche cross-over vehicle is fitted with composite midgate and tailgate inners. And the Corvette, the poster child for composites, has an interesting application that includes the original composite: a front floorboard that has balsa wood sandwiched between SMC panels. In some cases, composites are being used for new applications, such as on the Explorer Sport Trac, a new type of vehicle. In the case of the Ranger tonneau cover, this is a product that had been an aftermarket item, but which is now offered by the OEM. Although people often look at whether composites have replaced steel or vice versa, Dorney notes that on the Gen X- and Y-focused Ranger Edge version, the hood is SMC on that model, replacing aluminum that had been the standard on the Ranger lineup. Although he says there have been some composite parts used on vehicles for a long time—such as on the Jeep Cherokee lift gate, all the way back to 1984—there is still some resistance to the use of composites in assembly plants for the simple reason that most of those plants have been set up to produce steel parts. For example, he notes, "SMC parts are typically primed in the composite manufacturer's facility; steel parts are primed in the assembler's paint shop." Which means that the SMC parts must be handled differently in the assembly plant, which is something that needs to be done upfront if processing problems are to be avoided. Dorney admits, "There is a lot of competition, a lot of material choices right now. All—steel, thermoplastic, aluminum, thermosets—have certain pros and cons." The ACA is certainly interested in promoting the former rather than the latter. *"When the four hundred people on Ford's 1994 ‘Team Mustang' design team were charged with redesigning this best-selling car on a tight budget, they debated the image that would appeal to their customers. After considering ‘Rambo,' a muscle-bound, hard-hitting image, and the more cultured ‘Bruce Jenner,' the team reached an agreement:‘Schwarzenegger'—‘rugged but cultured. '"—Wellsprings of Knowledge: Building and Sustaining the Sources of Innovation, Dorothy Leonard-Barton (Harvard Business School Press, 1995). The Ford Explorer Sport Trac features an SMC cargo area with integrated liner and side panels which might have been a steel assembly. The SMC is said to be lighter than a comparable steel assembly and offers dent- and corrosion-resistance.